Well we can all guess how the third one turns out as she follows to pursue the guy she is madly in love with, Xiao Xi. Meanwhile, the top student and her classmate from her hometown, Fang Yu Ke, has got his eye on her, but for a girl with low EQ (who thinks she has a high EQ) how will things turn out? Why there's so much low rating? At first I thought it was bad too bc of the rating, but when I actually read it, it's actually really good, and funny, I keep laughing at the female protag behaviors xD so, please don't trust the rating! At last try the first few chapters. I really like the premise of the story. However, the translations are a little frustrating... It feels to me like the translator might not be entirely fluent in English- phrases are worded weirdly and incoherently. ... more>> "Everyone had a pile of materials by their hands, by their materials were usually two adornments of outer space cups. Even if some people left, it would be hard to defeat using a pile of review materials to occupy the seat by force, as to prevent being driven away in the middle of the library room." A great light reading! Please just try a few chapters, I'm sure you'll get hooked. 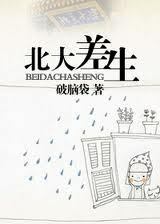 The story is light, cute and funny. Fang Yu Ke is you're typical stoic handsome smart male lead, but Zhou Lin Lin is not your typical female lead. Yes she's ditzy, but a hilarious self deprecating one. What a joy to ride (and read) ! if you read this novel, you will laugh in each chapter, I assure you. The female lead is funny and innocent most of the time and the male lead is cold to the female lead but he is always there for her and he is starting to change a little with her. Also, the translation is really good, they have at least 2 chapters for week. This is really adorable. The female lead is so silly, that I find myself laughing out of the blue. The male lead is such a tsundere and so sweet with his actions even if his words were cold. This is an entertaining read! I was so tired of bland FL who blindly followed ML. This FL has spunks. Her thoughts and feelings are portrayed. It is funny. I was so touched reading the ML's narrative of how he felling in love with her. The author developed the feelings of the characters pretty well. There are reasons behind their actions/inactions. Good fluff. I love the MC. She is hilarious. If you're looking for a light-hearted comedy, then pick this up. This book is absolutely hilarious!! I really don't know why this has such a low rating. My stomach hurts from laughing so much. Let me start by saying the female lead, Lin Lin, is definitely one of my favorite MC of all times. There is never a dull moment with her - her imagination is a unique world in itself, and her monologues are one of a kind. You would expect her to react the stereotypical way in a given situation, but she goes ahead and stumps everyone, including the male... more>> lead, Fang Yu Ke. To be honest, there are some moments when you feel like pulling your hair out, but I would attribute that solely to our ML. I guess it's because 'Idiot' attracts idiot, since ML despite being quite intelligent, makes some really stupid moves. Well, it was indeed pointed out that your IQ becomes zero when you're in love. So i'll give him some leeway. Overall, it's a fun read and goes into my 'favorites list'.